2. Tantra Movement in Germany ? Israel ? I rewrote mainly only German emails because from 17-19. oktober I would be in Berlin on ISTA conference. Would be great to arrange some workshops after(It doesn't have to be only Berlin) . If someone would like to host me it would be also nice. Not everyone from family as already a member of Tantra Movement on Rainbow so plz help me now to rich out to especially German family. Also there was one sister, mother from Israel,(I'm sorry I'm bad with names ), who also gave massage buttocks workshops and who wanted to invite me to Rainbow in Israel. If any of you know her name, contact it will help me a lot. Thanks <3 Let's make it happen. Together we are stronger ! Intention of the group is continuing the connections,Love,liberation,healing & great energy of tantra & sacred sexuality what we had honor to experience during Rainbow gatherings. So let's inspire each other, lets share love, memories, experience... Let the Tantra Movement grow beyond the limits of time and space. Invite the others who are with us... To be continued... by me and you. Like ! Invite ! Share ! 1. Taste of Tantra. Introduction to practice. 2. Expanding the consciousness. Being here and now. 5. Theory about practice. Tips for improving relationship with yourself, with your partner,with others, with animals, whole nature and entire universe. At this introduction workshop we give small examples of simple safe exercises, which you can continue practising later with your partner or on your own. Anyone who would follow instructions from this introduction may already dramatically improve her/his life. 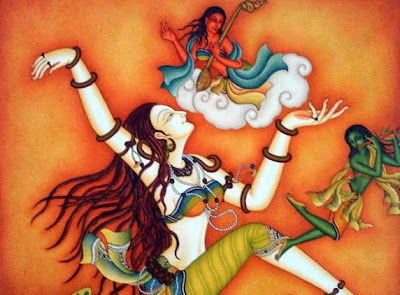 We let you get a taste of what tantra is and what we teach as a whole course at the School of Tantra Movement. Ad 9: Journey to Awaken the Senses. Ad 10: Preparing for Awakening Kundalini energy. This workshop is composed in such a way that you can get the best of it, that you could learn and feel what is tantric touch, that you would allow healing energy of love into your body and life . I hope you enjoyed our first newsletter. You like to do it together let me know. Any feed back, questions, suggestion, help with correcting, any help . I'm here for you.